AL MAHER (AUS) (Bay 2001-Stud 2005). 5 wins-2 at 2, VRC Australian Guineas, Gr.1. Sire of 470 rnrs, 301 wnrs, 29 SW, inc. Delicacy (SAJC Schweppes Oaks, Gr.1), Almalad - Friends of Ka Ying (H.K. ), Fat Al, Diamond Drille, Majestic Music, Budriguez, Badawiya, All Legal, Pheidon, Oasis Bloom, King Lionheart, Amovatio, Madam Gangster, Speedy Natalie, Felicienne, Marheta, Unchain My Heart, Dance With Her, Son of Maher, Buddy Bundy, River Delta, etc. Severn Road (g. by Al Maher). 6 wins. See below. BOOMWAA (Mutawaajid). 2 wins-1 at 2-at 1000m, 1200m, A$369,645, VRC Maribyrnong P., Gr.3, MRC Essendon Terrace H., 2d ATC Inglis 2YO Classic, L, Membership on Sale 2YO P., TAB Place Multi H., VRC William Malone ARC Trophy, Mitty's Racing Colours H., MRC Theshark.com.au H., 3d MRC Vain S., Gr.3, VRC Maribyrnong Trial S., L, MVRC Mitchelton Wines H., William Hill H., 4th VRC Sires' Produce S., Gr.2, MVRC Inglis Banner 2YO S., L.
Boom Time Savings (Secret Savings). Placed. See above. Boom Trader. 3 wins to 1500m, 2d SAJC Holdfast Insurance H., 3d SAJC Adelaide Galvanising H.
Prince of Hearts. Winner at 1200m, 2d STC Golden Slipper Festival on Sale H., The Integra H., 3d STC Excites H., Freeway Hotel Super TAB P.
Boom Boom. 2 wins at 800m, 1000m in Aust. Operation Success. 2 wins at 1000m, 1100m in Aust. Raabeh. Winner at 1300m in Aust. Cos Can't Wait. 3 wins at 1200m, 1650m in Aust. Monsieur Albert. 8 wins from 1750m to 3100m, €75,570, 16,000fr., Longchamp Prix du Vieux Colombier, Maisons-Laffitte Prix de Joyenval, 2d Maisons-Laffitte Prix Alaindelonstore.com. T.M. Uranus. 4 wins at 1400m, 1500m in Japan. DELAY OF GAME (Summer Squall). 16 wins at 1m, 8½f, US$809,023, Aqueduct Stuyvesant H., Gr.3, Tampa Bay Breeders' Cup S., L, Tampa Bay Breeders' Cup S., L, Belmont Allowance, Gulfstream Park Allowance 4YO+, Keeneland Allowance, Allowance 4YO+, Saratoga Allowance 3YO+, Allowance 4YO+-twice, 2d Keeneland Turf Mile S., Gr.2, Aqueduct Queens County H., Gr.3, Keeneland Ben Ali S., Gr.3, 3d Turfway Park Kentucky Cup Sprint H., Gr.2, 4th Keeneland Maker's Mark Mile S., Gr.2, Hialeah Widener H., Gr.3. TOP SEED (Wild Again). 7 wins from 1m to 9f, Fair Grounds Woodchopper H., L, 3d Sam Houston Park John B Connally Turf H., L.
SIX ZERO (Linamix). 3 wins from 2000m to 2400m, Del Mar Navarone S., L, 2d Longchamp Prix La Force, Gr.3, Saint-Cloud Prix de l'Avre, L, Santa Anita Big Shot S., L, 4th Hollywood Turf H., Gr.1. Sire. SHABERNAK (Akarad). 4 wins from 1½m to 16½f, Sandown Esher S., L, Ascot Sodexho Shergar Cup Stayers H., Doncaster Mallard H., 2d Chester Ormonde S., Gr.3, Newbury skybetvegas.com H., 3d Nottingham Further Flight S., L, Goodwood ladbrokes.com Prestige H., Newmarket Jockey Club 250th Anniversary S., 4th Nottingham Further Flight S., L.
Race Record: 48 Starts 6-6-6 A$136,640. 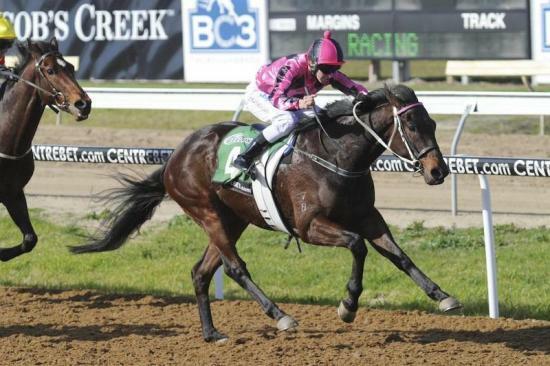 6 wins from 1550m to 2200m, A$136,640, Traralgon Cup, 2d SAJC Schweppes H., 3d Pakenham Cup.